To support and assist the development and implementation of EAC Customs compliance programmes and review of customs laws to strengthen enforcement. Undertake studies on Customs preventive services, investigation and enforcement in EAC. Coordinate the harmonization of risk assessment framework applicable in the Partner States. 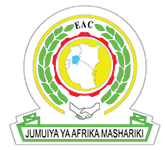 Facilitate the Trade Remedies Committee in the implementation of anti -dumping, countervailing measures and Rules of origin disputes as per the EAC Customs Management Act 2004. Plan and implement enforcement and investigations operations for suppression of customs offences, ability to analyze information and data. Any other official duties as may be assigned from time to time. Must have 8 years relevant experience with three years being at a senior level preferably in customs related environment. Knowledge of regional integration and trade policy issues in the Regional Integration. Should have demonstrable knowledge of customs and trade laws applicable in EAC. Practical skills in enforcement, investigations and preventive work. Analytical skills, communication skills, negotiation skills, research skills, good computer skills and meeting tight deadlines. 4. EAC Staff Rules and Regulations preclude considerations of applicants above 55 years of age.